As deep as Hank Cosby's roots run in Powhatan, he's never been one to take his community for granted. His love for the area and its heritage have inspired him to do his best as a real estate professional. For Hank, his family's deep local roots are a symbol of dedication to the Powhatan community. True to its name, Hank Cosby Real Estate brings the same kind of commitment to helping you achieve your goals. They know buying or selling a home is a big investment, so they commit all their energy and knowledge to helping you make the most of this exciting time. If you're buying, selling, or renting a home in Powhatan or the surrounding communities, count on Hank Cosby Real Estate. Their time honored approach to real estate helps you see that These Roots Run Deep. 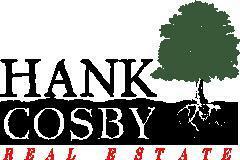 Contact Hank Cosby Real Estate today -- you'll be glad you did.